Buying fencing equipment, especially for the first time, can be intimidating and difficult to decide. For our members’ convenience, at Olympia you tell us what you wan,t and we set up the order for you. This because we have the experience behind and dressed up hundreds of fencers before you. Everyone is built differently, some have longer legs, other broader shoulders – we measure you up and try to find your best fit. – No personal equipment necessary. – If you are serious about fencing or take lessons, a weapon, mask, & glove is strongly recommended. – Long pants and sneakers must be worn in class. – All equipment necessary to fence is required (this means 1 of each item listed on the first page). – Knickers and long socks must be worn in class. – All equipment necessary to fence is required. 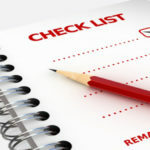 Here is a Fencing Tournament Checklist with what you need in a competition. If you prefer to buy your fencing gear yourself, there are many companies that you can purchase equipment from, online or over the phone. If you are looking for a specific item, you can shop around for it at various places, to find the best price. 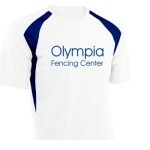 We order our fencing gear from Blue Gauntlet. They offer a wide variety of Starter Sets that range from about $100 to about $200, depending on the number of pieces of equipment and quality but we recommend to those new to fencing to come and see us before buying. Also, orders can be placed through us, we measure and determine the right size, place the orders and shipping fees are split by the number of people. 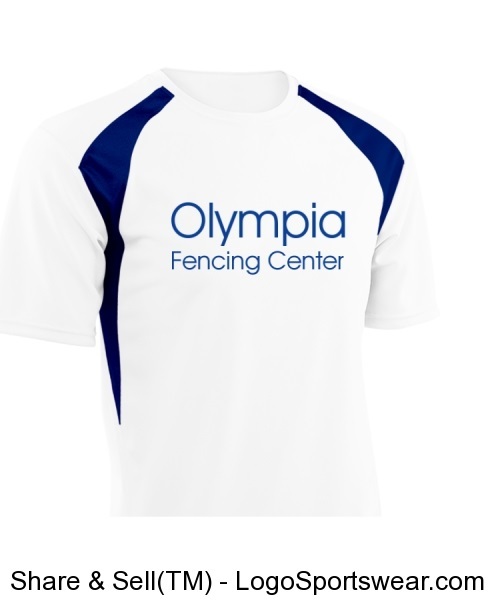 We also created our own online store, where you can buy moisture wicking cool mesh polyester T shirts, a performance fabric that keeps you cool and dry and has our club’s logo on it. The price is $28.00 and new designs will be available soon.